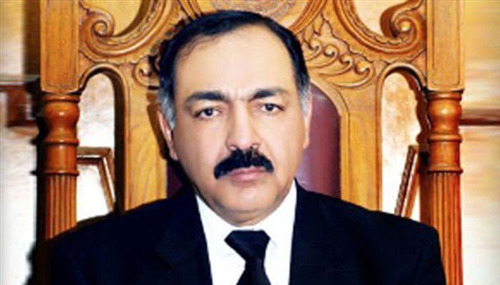 The Governor of Balochistan Amanullah Yasinzai calls for privatisation increase. This is a decision taken for the issue of unemployment. The governor was talking to a delegation led by Balochistan National Party-Mengal (BNP-M)’s Ahmad Nawaz Baloch. This is a very serious and common issue of our country. Even the major cities of Pakistan are under this problem. The small and undeveloped region faces the problem more seriously. The poverty, unemployment and redundancy have become very common problems in Balochistan. It is not developed and also the issue of illiteracy is very common with the other problems. The enlargement and activation of privatisation in this region is a very remarkable step to resolve them. Through this, the opportunities and chances of education, jobs and development will increase. The decision is appreciated on the national level. The economic growth of Balochistan is also expected through this. Current sources are not enough to meet the requirements of people. An honesty of government departments and officials are demanded by the governor of Balochistan. Sustainable and proper plans are required to solve the problems of public including joblessness, poverty, illiteracy and many more. Many establishments including universities, water and electricity supply projects and other employment resources are planned by the government. The delegation of COMSATS University also met Yasinzai to establish a branch of the university here. Many developments are expected to be done at a large level in Balochistan.